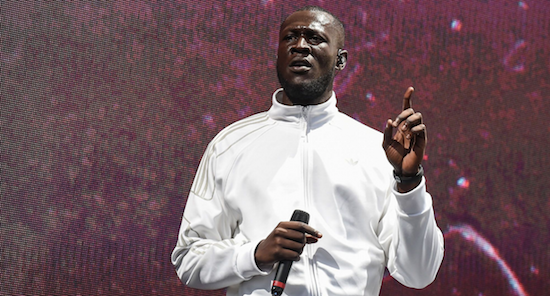 Stormzy pulls out of Snowbombing festival accusing event security of "racism"
Stormzy cancelled his headline appearance at Austria's Snowbombing festival last night, accusing the festival's security team of "racism and racial profiling." Members of his team were allegedly singled out by security at the festival following reports that someone was carrying a weapon. "My manager and all my friends who were at the festival were racially profiled, targeted and aggressively handled because they had reason to believe someone was carrying a weapon," Stormzy said in an Instagram story. "The security targeted them (despite no one fitting the description), were physically aggressive when handling them, and there's been no effort from the festival to actually deal and address the problem." Snowbombing has also released its own statement on the matter. "Snowbombing regrets to inform you that Stormzy will no longer be performing at the festival this evening," it says. "Last night (Wednesday 10th), Snowbombing's security were alerted to the possibility that an individual at the festival was allegedly carrying a weapon. In accordance with protocol, a small number of attendees, including Stormzy's manager were escorted to the nearest exit, searched and no weapon was found. Stormzy's management were unhappy with the manner by which this took place, and as a result Stormzy will no longer be performing tonight. This evening's Forest Party will now not go ahead as planned. We are deeply saddened that any individual would feel uncomfortable at Snowbombing. "Snowbombing would like to wholeheartedly apologise to Stormzy's team. We are doing everything we can to understand the full situation and are treating this with the utmost seriousness to ensure this does not happen again."